Are you a sport player? Join our community! We Malaysians love futsal and badminton. Whenever we visit a badminton or futsal court, very often we will notice it will be fully occupied with players, from all backgrounds, be it a college student or a young office worker or a senior citizen playing with his grandson. Sports connect us all, that’s also what we strongly believe. One sunny afternoon in Sportify office, we came up with this idea – why don’t we create a game and open for everyone to join, regardless age, gender and nationality, to celebrate the true spirit of sports. 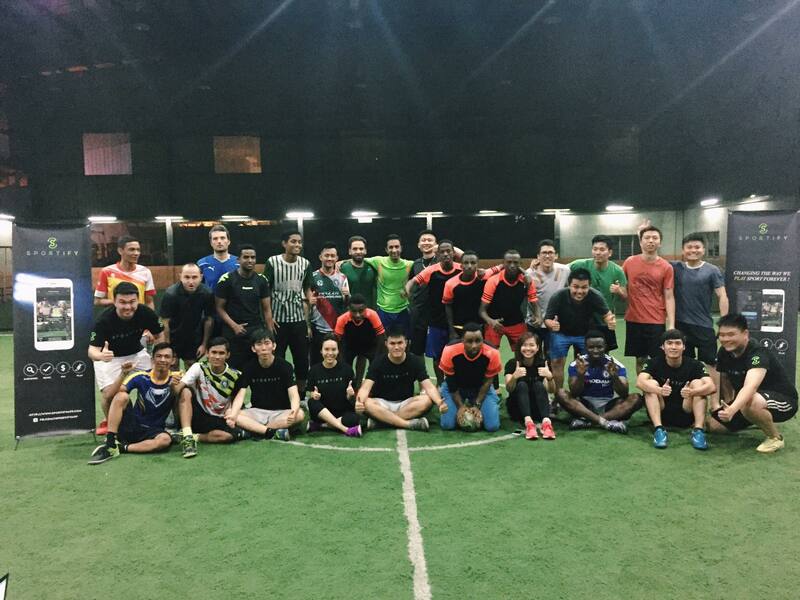 And that was how our first open game came long, Sportify Kick-Off – an open futsal game with 7 competing teams. That was on a hot Sunday evening, but the atmosphere was even more burning inside Score Arena Futsal Centre where the teams played against each other for the cash prize of RM100. To our surprises, the joining teams are not just Malaysians, but the combination of all nationalities: Malaysian, Nigerian, Chinese, Vietnamese and Indian. We feel honor and proud to have accommodated such an interesting game and have made friends with futsal lovers in Kuala Lumpur. And here’s our Sportify Smash-it Badminton Friendly Game at OUG Shuttlebug. You can tell how much fun we’ve had by just looking at the picture! We were thrilled to see 15 teams of double showing up at the event. From 16 years old highschool friends to university students to work colleagues, they have played with high team spirit and devotion but after all, it seems that we all united in a religion named Sport. Go to our Games session, tap on the + symbol on your upper right, fill in the information needed (Sport type, Date, Time..) and invite your friend via their phone number. Your friends will confirm their joining on their app and your game will be appear on the Created tab. Looking through our venue list, you’ll find the best court option you might have for your coming game! Call or book through the app, no more hassling around checking availability and rates! Now that you’ve got your team and court booked, grab your kicks and go play! Our weekly free game is now ON! To ensure a rich and fun culture of the team, we organize weekly sport session every Thursday for all Sportify-ers to hang out and play sports as team bonding time. And to celebrate the app launch with the sport community, we now open the game to everyone to join us for free. So watch out for our Free Game every Thursday! Simply launch Sportify App, and confirm your participation to our game. Yes, that simple! Because playing sports should be simple, and fun! Don’t worry, Android version coming soon this January! We’ll keep you posted! https://www.sportifyapp.com/wp-content/uploads/2016/12/15235673_444676752587320_6862188163418530945_o-1.jpg 1536 2048 nickleong http://www.sportifyapp.com/wp-content/uploads/2017/06/Logo-Only.png nickleong2016-12-19 06:19:032018-03-05 09:58:27Are you a sport player? Join our community! Sportify is a sports lover’s platform designed to takes the hassle out of booking a sport venue and let sport players managing their sports game by linking other players on the same platform. You can find and book courts in just a few taps. We know finding a sport venue to accommodate your team could be a hassle making phone calls, checking prices and taking notes until you can finally book a court. Or do you remember the times you’re frantically scouring through Google for sport venues immediately due to inevitable circumstances happening to your prior booking? We cover 9 states across the country with more than 40 sport venues partner that can accommodate you with Futsal, Badminton and Golf. We are proud to have the best coverage of sport venues in Malaysia. All you need to do is: look through our venue list and pick a court with the schedule as you wish, confirm the price, make payment and… Voila, you’re done! SportifyApp is officially here! Sportify is a sport lovers’ platform designed to takes the hassle out of booking a sport venue and let sport players managing their sports game by linking other sport players on the same platform. You can now download Sportify from App Store and enjoy your RM25 off first booking! Let’s face the fact that we are all fed up managing those Whatsapp group where it takes you hours to go through all the messages and note down who’s joining and who’s not, haven’t mentioned they suddenly bailed when the day comes! Now you don’t need to skim through hundreds of messages anymore, simply create a game on Sportify and invite your friends! At the same time, you can open your game to other sport mates who are looking for a team to play, you know, just in case someone FFKs you last minute. Sometimes you’ll have those days where a member of your team backs out and you’re scrambling to find a last-minute replacement, looking through all your mobile contacts in hopes of finding that one person to fill up your team numbers in order to play. You and your friend can join open game on Sportify and start making new sport mates from all ages and genders. 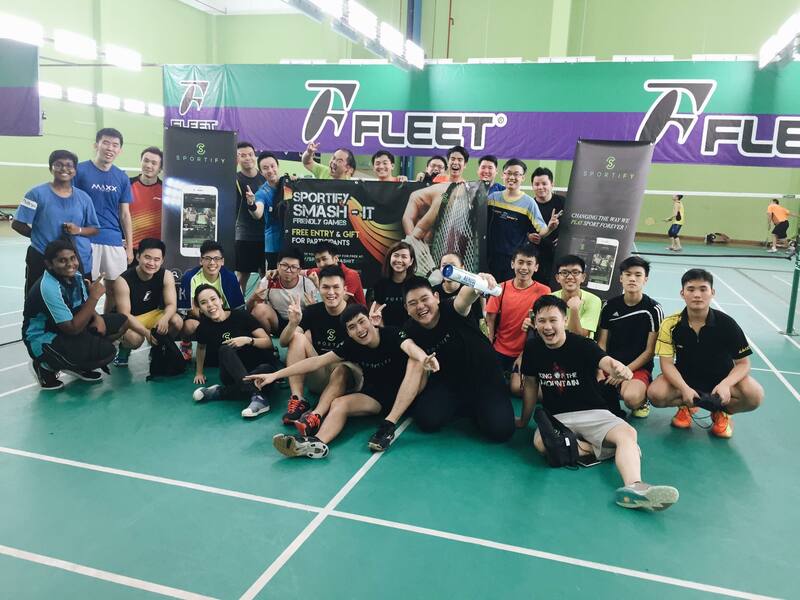 With the burning desire to solve sport lovers’ pain points and “change the way we play sport forever”, we’re excited to see the future of playing and arranging sport activities expand in Malaysia with the introduction of our app. Sportify was founded back in May 2016 by a team of sports enthusiasts. “From sport players, to sport players” – Sportify founding team. We had observed and understood the tedious process a sportsperson goes through in order to find a sports activity. It is very common for sportsmen and women to seek a last minute replacement through their Facebook and WhatsApp contacts to make up the numbers. Not to mention those hours spent just calling a few sport venues and organise games headcount in WhatsApp group before they can successfully book one. So we worked together and came up with Sportify, a single platform where players are able to connect with each other, create or join games and even make sport venue bookings with just a few taps on their mobile. Currently, the team has grown to having 7 full-time members from 5 different nationalities. In just a span of 5 months, the startup has been able to sign an agreement with more than 40 sport courts throughout Malaysia and we are also in the midst of signing a NDA with one of the largest golf associations in our country. Sportify was also selected to be featured at an exhibit at Tech in Asia Tokyo on 6 September and Web Summit Lisbon on 7 November, 2016. More than just a sportapp, we also aim to contribute to sport lover community by sponsoring local games, organizing weekend friendly game to connect sport lovers and sharpen our skills together. Sportify Team at Launch Event – Nov 22nd. We hope to get your feedback to improve your experience with us, contact us at [email protected] for feedback/ general inquiries. Also follow our Facebook fan page and Twitter for updates on Promotion/ Free Friendly Games. https://www.sportifyapp.com/wp-content/uploads/2016/12/screen-shot-2016-12-05-at-4-05-34-pm.png 1098 1646 nickleong http://www.sportifyapp.com/wp-content/uploads/2017/06/Logo-Only.png nickleong2016-12-05 08:13:022018-03-05 09:56:44SportifyApp's official launch!